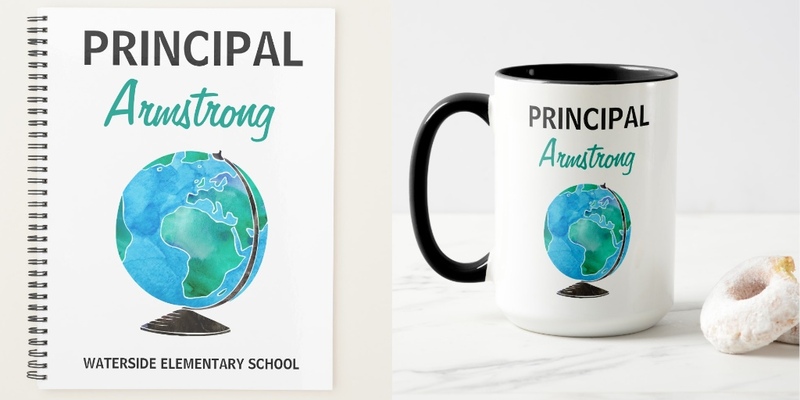 Order a personalized gift for your school principal. Useful, practical and customized with school name and/or principal’s name. Choose from clipboards, post-it notes, mugs, 3-ring binders and a variety of other office supplies. Designs feature a watercolor style world globe in blues and greens.